The juvenile system is not always equipped to handle all the needs of troubled young people and help them become upstanding citizens. Juvenile offenders are more likely to have suffered abuse, and often face higher risks of mental health concerns, educational problems, occupational difficulties, and public health and safety issues. We should not stand by and let these children slip through the cracks. I am sponsoring legislation to establish a preventative program for at-risk youth to help address these issues early on, before they become life-long problems. Indiana is home to thousands of talented educators who are passionate about seeing our children succeed. As a former superintendent and member of the House Committee on Education, I want to find innovative solutions to some of the challenges our schools face so that teachers feel appreciated and students thrive. This session, I am sponsoring a legislative proposal providing schools more flexibility when it comes to compensating teachers, and another helping schools meet the needs of their students facing speech sound delays and disorders. STATEHOUSE (March 20, 2019) – State Rep. Denny Zent’s (R-Angola) bill preventing illegal drug users and dealers from turning to veterinarians for prescription painkillers could soon become law. STATEHOUSE (March 20, 2019) – Legislation sponsored by State Rep. Tim Wesco (R-Osceola) allowing counties to voluntarily petition the secretary of state to audit an election could soon become law. 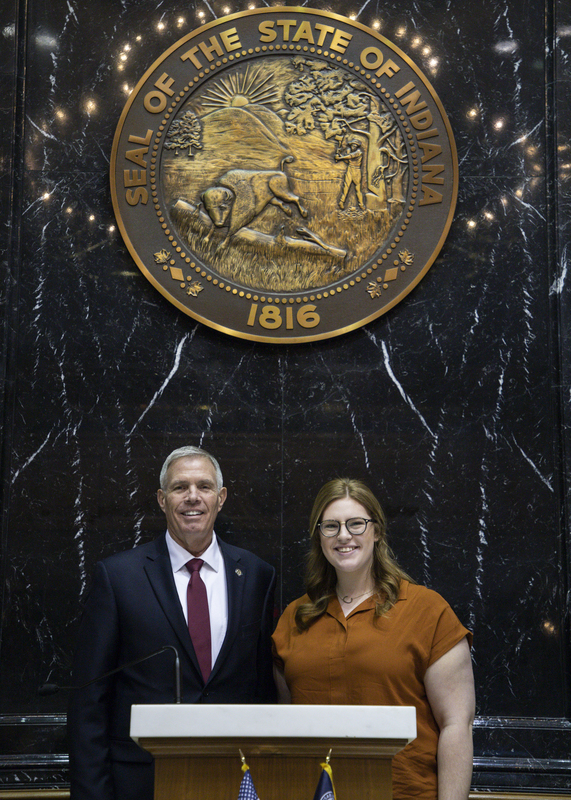 STATEHOUSE (March 20, 2019) – The Senate Health and Provider Services Committee voted in support of State Rep. Cindy Kirchhofer’s (R-Beech Grove) legislation helping expectant mothers and newborns. 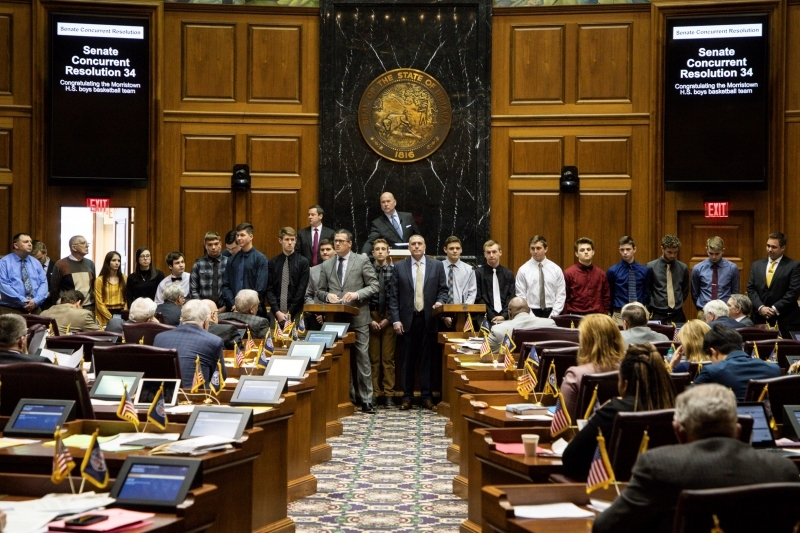 PHOTO CAPTION: State Rep. Sean Eberhart (R-Shelbyville) (front row, podium) recognizes members of the Morristown High School boys’ basketball team Monday, March 18, 2019, at the Statehouse. The team was presented a resolution from the General Assembly honoring their 2018 Indiana High School Athletic Association Class A state championship win. The Yellow Jackets defeated Southwood High School 89-60, and set 10 Class A finals records on the way to their first state championship. STATEHOUSE (March 18, 2019) – State Rep. Wendy McNamara (R-Evansville) today welcomed the Highland Baseball Challenger Little League team to the Statehouse to recognize their Little League World Series win. The 2019 legislative session crossed the halfway point, with 201 House bills and 218 Senate bills passing out of their original chambers. The House is considering Senate proposals, and the Senate is considering House proposals. Among those moving through the legislative process are two bills I support to help keep our kids safe. As a legislator, I am a strong proponent of pro-life policies and believe that all lives should be protected. If a medical professional holds a similar moral or religious belief, I do not think they should be required by their employer to take part in abortion procedures they object to. Legislation I sponsored would give Hoosier health care providers an exemption from performing or assisting in abortion procedures based on ethical, moral or religious grounds. Improving public safety is always one of my top priorities, and I am sponsoring legislation focused on increasing law enforcement’s access to resources to ensure the safety of Hoosier children. In one year alone, nationwide there were over 9,000 individuals arrested for committing crimes against children over the internet. This proposal would establish the Internet Crimes Against Children Fund for law enforcement to use toward investigating cases in which children have fallen victim to internet criminals. Child hunger continues to be an issue that many families face. Research shows that 1 in 5 children across the state will experience limited or uncertain access to food. Young Hoosiers should not have to worry about where their next meal will come from. 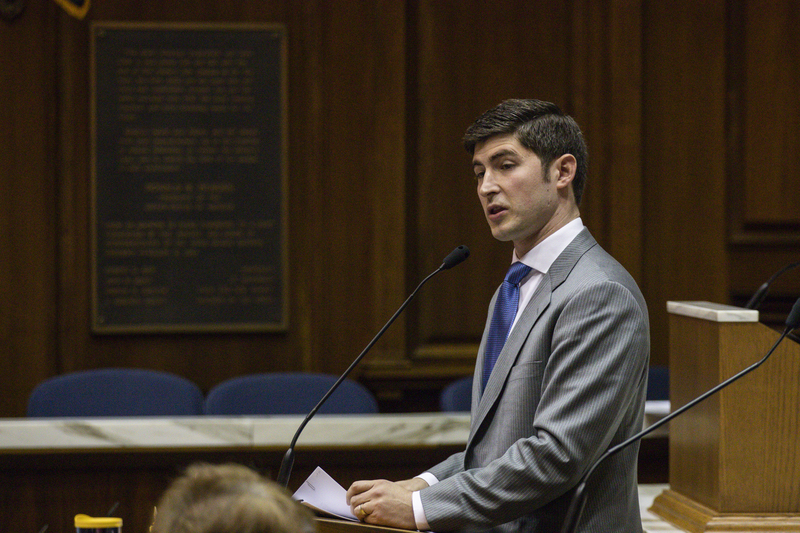 STATEHOUSE (March 14, 2019) – The House Employment, Labor and Pensions Committee voted in support of legislation sponsored by State Rep. Heath VanNatter (R-Kokomo) to increase the police officers and firefighters pension benefits from the 1977 Fund. Recently, lawmakers finished the first half of the 2019 legislative session. Hundreds of bills were submitted in the Indiana House for consideration, but only a small number of those advanced to the Senate. Of all of the bills discussed in the House, the one I want to focus on is the state budget. STATEHOUSE (March 12, 2019) — The House Veteran’s Affairs and Public Safety Committee recently supported a bill sponsored by State Rep. Randy Frye (R-Greensburg) providing transparency throughout the forensic process for sexual assault survivors. 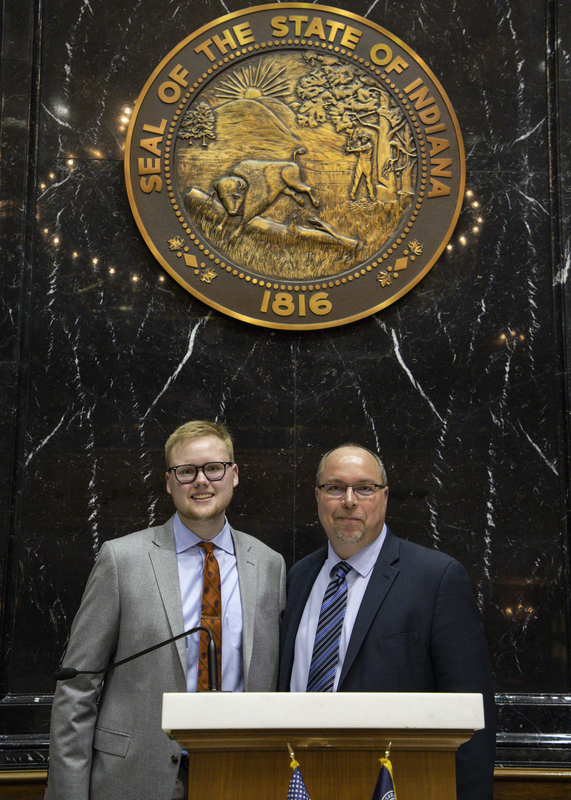 STATEHOUSE (March 13, 2019) — A Warsaw Community High School graduate is gaining experience as an intern with State Rep. Curt Nisly (R-Milford) and his fellow members of the House of Representatives during the 2019 legislative session.